Commercial Duct Work, Lakeland, FL | Johnson's Mechanical Inc. Commercial Duct Work, Lakeland, FL | Johnson's Mechanical Inc.
You can rest assured that we know what we’re doing when we come and work on your commercial duct work in Lakeland. Your duct work plays a vital role in your building’s overall HVAC system. This is because the series of ducts that runs throughout your building is responsible for delivering and removing heated and cooled air from the environment. 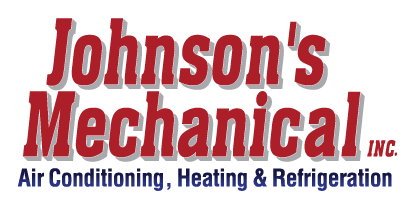 If you are concerned that something is wrong with your commercial duct work or you want to make sure your ducts are delivering clean air throughout your building, our team at Johnson’s Mechanical Inc. is here to help. Whether you have us repair your commercial duct work or clean dust, debris, and allergens out of it, our services are designed to do two main things: enhance the energy efficiency of your HVAC system and improve the air quality inside your building. Not only can your business benefit from both of these things, but your employees and anyone else who visits your building can benefit from them, as well. You can rest assured that we know what we are doing when we come and work on your commercial duct work, since we have been providing duct work services to business owners in Lakeland, Florida since 1982. We have also built our reputation on the foundation of honesty, integrity, and quality workmanship. We know that you will be 100% happy with the way we manage your repair or maintenance needs, and we look forward to working with you. Contact us at Johnson’s Mechanical Inc. to find out more about how we can help you ensure the reliability and efficiency of your building’s commercial duct work.